As an Human Resources professional it is important to stay up-to-date on the latest HR news. Human Resources is constantly evolving, and there are many ways in which you can learn about new developments in the field. HR news can be found everywhere from Twitter to print to blogs, and each format brings something valuable to the table. For a list of the top 4 ways you can access the latest HR news, as well as some of the best resources in each category, keep reading below. Many newspapers and websites have a section dedicated to HR news. The Huffington Post, for example, features a variety of Human Resource articles covering an array of topics ranging from managing workplace confrontations to attracting millennial candidates. Traditional news media is a great way to keep up with the HR industry because it guarantees that you are learning about the mainstream stories that concern your field. Alongside the relevancy, news sites also offer professionally reviewed information that is more reliable than some other sources. Websites and news outlets like Entrepreneur, Huffington Post and Businessweek all have a place that you can go to find the latest stories. Blogs and individually-run websites are an excellent resource for HR news. Many bloggers do or have worked in the Human Resources industry. This means that they can add a touch of personal experience and opinion to their posts and articles. Blogs are a simple way to access a variety of voices regarding HR news, like new ways of narrowing down a large talent pool. Professionals like Kris Dunn, who runs The HR Captalist, and Trisha McFarlane, who manages HR Ringleader, can offer advice, words of wisdom and insight into the HR field. Each individual will have a unique perspective that you can draw from when facing challenges in the work place, so blogs are an excellent option for those interested in HR news. Twitter is becoming a big part of news today. Many people first hear of an incident through this social media site. In fact, they even have a news section called “Moments” where you can scroll through today’s top stories. 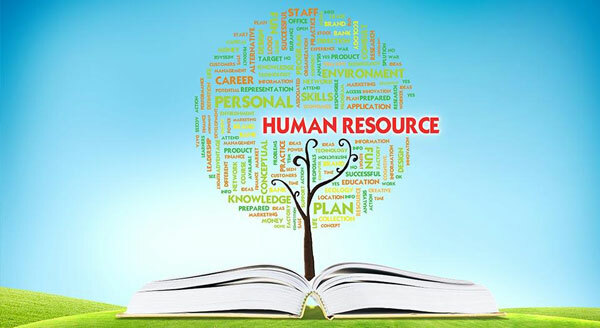 However, if you are specifically looking for Human Resource information, then you will need to follow some HR accounts. HRZone, HRreview and HRGrapevine are all excellent Twitter accounts dedicated to the field. In addition to promoting stories from their own websites, these HR accounts also share and tweet information from others about the latest HR developments. This is a great way to keep up with HR news on the go. Traditional print media should not be overlooked when it comes to HR news. One of the most popular trade publications for Human Resources is from the Society for Human Resource Management. Their magazine, published monthly, contains a variety of articles and stories about the industry. This is a great option for those who want access to professional information and analysis of the most significant pieces of HR news. It is one of the best resources out their offered by business colleges. Additionally, the SHRM website contains hundreds of posts and pages that you can peruse to learn more about the industry. Workforce is an excellent human resources magazine for any HR professional to subscribe to. The magazine is also available online, if you prefer to be paper free. Either way, the HR magazine can help you stay up to date on all the latest HR trends and developments. You can browse through their menu of topics to find what you need. Some of these topics include benefits, workplace culture, technology, recruitment, compensation and more. If you want a comprehensive HR resource, Workforce magazine is the winner. Keeping up with the latest HR news is important. Whether you want to just scroll through Twitter for your news or subscribe to SHRM’s monthly publication, there are plenty of ways to learn about new HR developments besides Zip Recruiter. For professional, reliable information be sure to check out one of the options above to stay up to date on the latest HR trends.